We Numax Steels a highly professional organisation in the industry. 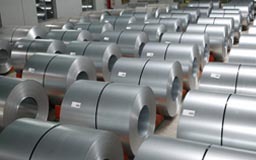 To cater the requirements of our precious clients in the world market, we have been involved in Manufacturing, Importing, Exporting a premium quality wide assortment of Super Duplex Steel Sheets, Plates & Coils. They are fabricated using Super Duplex steel in adherence to industrial quality standards. They are well-known for their resistance to corrosion and abrasion. These coils are dimensionally accurate and are easy to install. They are highly acclaimed amongst the clients for their Easy to install, Fine finish, Long-lasting, dimensional accuracy, high load capacity, impact strength, sturdiness and durability. 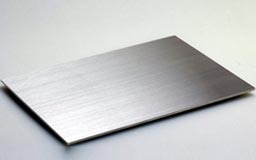 These Super Duplex Steel sheets, Plates & Coils are available in different sizes, thicknesses and other specifications as per clients requirements. Grade Super Duplex UNS NO S32550, S32750, S32760. 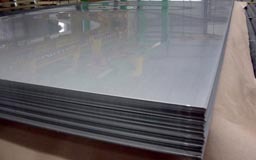 Super Duplex Steel Perforated Sheet, Super Duplex Chequered Plate, Super Duplex S32750 Sheets, Super Duplex S32950 Coils, Super Duplex Steel Foils & Coils Supplier & Exporter in India. Brazzaville, Dubai, Ouagadougou, Singapore, Colombia, Lubumbashi, Brazil, Thailand (Bangkok), Dakar, Yaoundé, Omdurman, Democratic Republic of the Congo, Pretoria, Egypt, Morocco, Indonesia, Rabat, Angola, Casablanca, Uganda, Luanda, Giza, Qatar, UK, Lagos, Mogadishu, Ethiopa, Saudi Arabia, Abidjan, Ghana, Douala, Maiduguri, Sudan, Algiers, Mbuji-Mayi, Jordan, Antananarivo, Hong Kong, Cyprus, Tunisia, Soweto, Bamako, Dar es Salaam, Kaduna, Malaysia, Iraq, Kinshasa, Khartoum, Vietnam, Fez, Turkey, Nairobi, Tripoli, UAE, Cape Town, Kuwait, Australia, Lebanon, Port Elizabeth, Cairo, Cameroon, Algeria, Alexandria, Addis Ababa, Chine, New York, Subra al-Haymah, Venezuela, Nigeria, Accra, Houston, South Africa, Zaria, Maputo, Mexico, Bulawayo, London, Freetown, Kazakhstan, United States, Mozambique, Benin, Kano, Johannesburg, Trinidad and Tobago, Canada, Israel, Bahrain, Azerbaijan, Italy, Conakry, Germany, Durban, Port Harcourt, Peru, Kampala, Argentina, Colombo, Ibadan, Iran, Oman, Sri Lanka, Russia, New Zealand, Abu Dhabi, Kolwezi, Africa, Harare, Yemen. Chennai, Lucknow, Alexandria, Benin, Yaoundé, Hyderabad, Nagapattinam, Kaduna, Oman, Dakar, Bulawayo, Cameroon, Zaria, Uganda, India, Douala, Qatar, Algeria, Jamalpur, Venezuela, Pune, Mbuji-Mayi, Freetown, Cairo, Conakry, Maharashtra, Kerala, Surat, Colombo, Betul, Antananarivo, Rabat, Sadar, Udgir, Miryalaguda, Khartoum, Pretoria, Lebanon, Soweto, Giza, Ahmedabad, Ouagadougou, Angola, Ethiopa, Durban, Yemen, Harare, Russia, Ibadan, Democratic Republic of the Congo, Puducherry, Kano, Jaipur, Subra al-Haymah, Casablanca, Port Harcourt, Karnataka, Mozambique, Johannesburg, Maputo, Kolwezi, Benin, Tripoli, Bhiwadi, Nairobi, Maiduguri, Omdurman, Ghana, Kinshasa, Jordan, Lagos, Ballia, Addis Ababa, Suryapet, Dar es Salaam, Abidjan, Muktsar, Ambala, Singapore, Cyprus, Andhra Pradesh, Bundi, Abu Dhabi, Buxar, Port Elizabeth, Bansberia, Kolkata, Baraut, Tripura, Luanda, Bangalore, Morocco, Mizoram, Kampala, Hong Kong, Manipur, Mumbai, Mogadishu, Cape Town, Accra, Brazzaville, Bamako, Delhi, Thailand (Bangkok), New York, Lubumbashi, Tadepalligudem, Fez, Algiers.